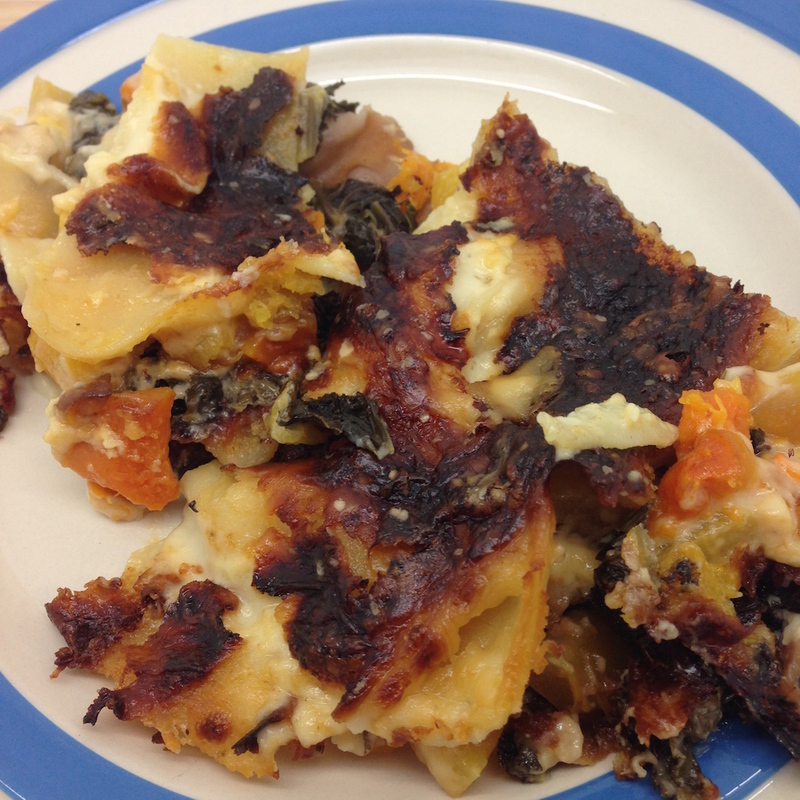 This is not a good picture, but it was a lovely squash and kale lasagne. Essentially you roast some squash chunks. You make some bechamel sauce (with added cheese). You cook down in a pan some kale and then you assemble the lasagne: bit of sauce on the bottom, lasagne sheets, kale and squash, more sauce, lasagne etc etc. Cook for an hour in a medium oven and eat. I miss squash a lot – I have said this before…. we are currently eating a lot of cabbage and Jerusalem artichokes – I post photos of our meals on my instagram thingy here – you can follow me for day to day photos of the animals and goings on on the smallholding and campsite – if you want. 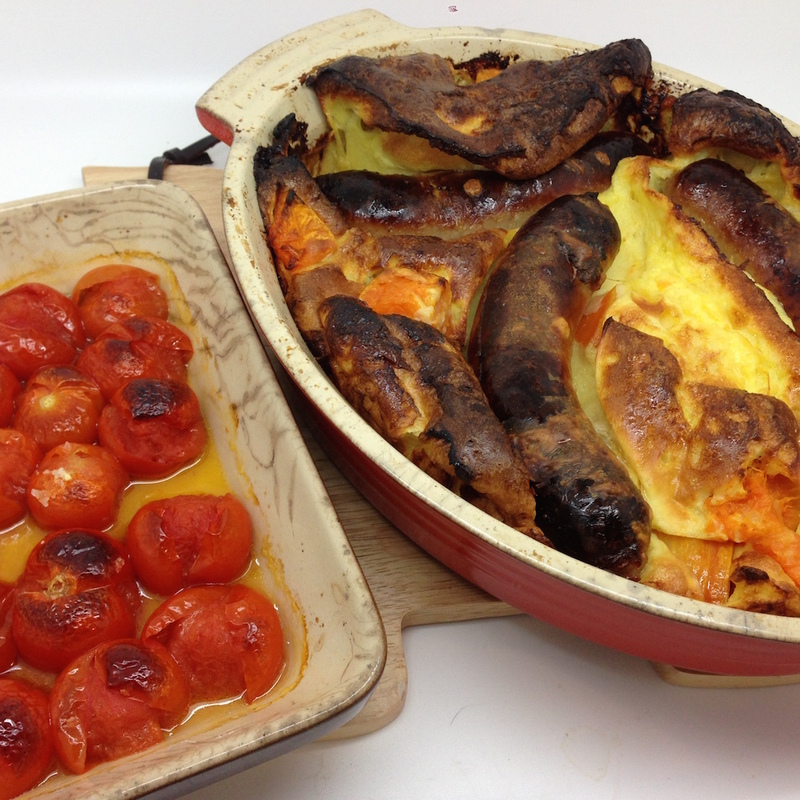 We also had squash toad in the hole: sausages, roast squash, Yorkshire pudding (2 eggs, 100ml of milk, 70g plain flour). Whisk the eggs and flour together until smooth and then add in the milk and season. Leave the batter to sit for a while. Brown the sausages in a pan while you roast the squash. Put sausages and squash in an oven proof pan and pour over the yorkshire pudding batter. Put in a hot oven for 20 minutes or so. Yum yum yum.